An intramural soccer team made of students from the Marine Creek Early College High School made history Sept. 12 as the first all-high-school team to win an intramural tournament on NW Campus. NW kinesiology instructional aid and intramural director Aaron Garcia said he’s unaware of this ever happening before. 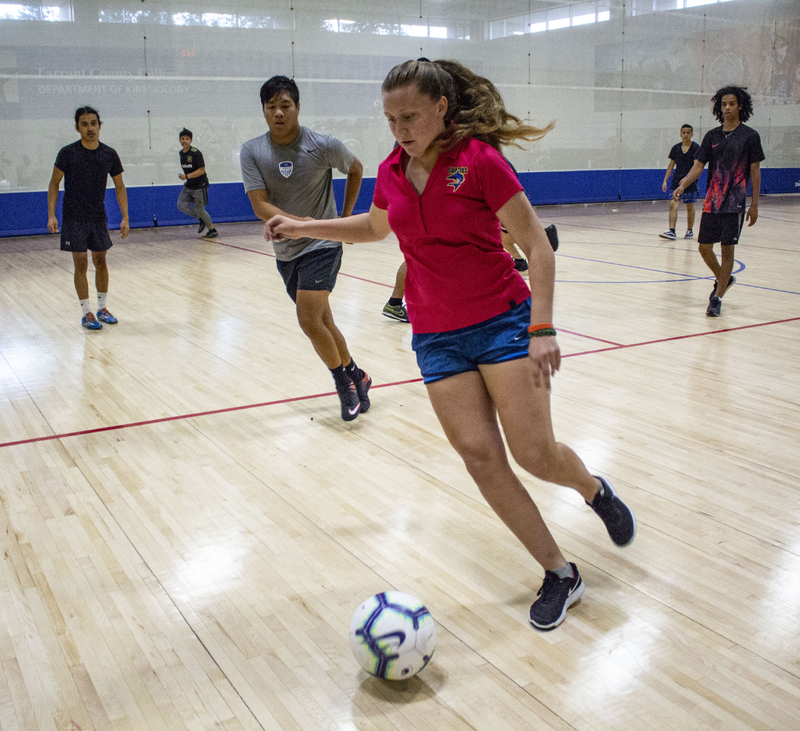 Marine Creek Early College High School student Kaila Odonald was one of only two girls who participated in the indoor soccer tournament. “Many teams have come close, especially in volleyball, but none have gotten this far,” Garcia said. In the NW gym, five teams competed in the tournament with each consisting of five players. Marine Creek Early College High School student Kaila Odonald said her Shark teammates all grew up playing soccer and joined the tournament because they loved the sport and thought it would be fun. NW student Clint Smith dribbles the ball through the middle of the court as his Drip Season teammate backpedals to give him space. “We were very eager to play,” she said. Each team played a minimum of two games as there were two brackets, which allowed teams a chance to stay in the tournament after their first loss knocked them out of the top bracket. Games consisted of two halves with teams switching sides at the half and shot on small training goals with no goal keepers. 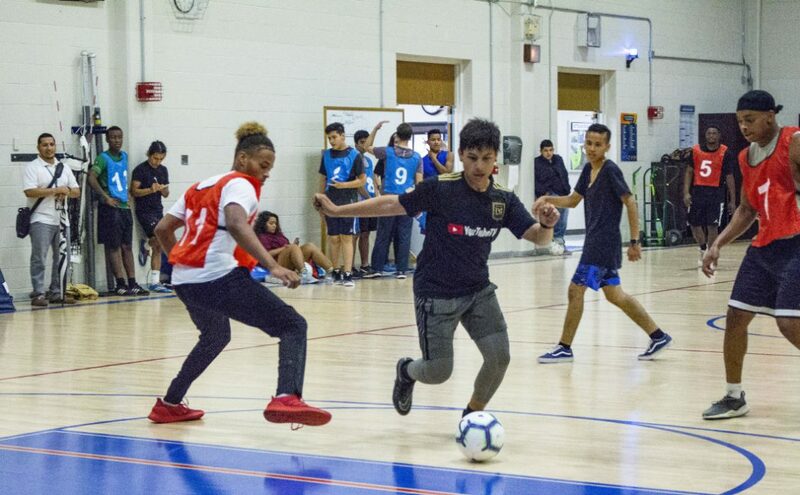 In the event of a tie, teams went to penalty kicks, which involved players shooting on the small nets from half court with neither team permitted to defend their goal. Whoever won the shootout advanced and the loser either entered the losing bracket or was knocked out of the tournament. A Bucees player attempts to intercept the ball as Drip Season players look to connect with their forward up the field. The teams faced off in the second semi-final game of the tournament. “We had some close games, but we sailed through the tournament,” Odonald said. The Sharks and their championship game opponents, The Bucees, both made it to the finals undefeated. Despite losing the first final in PKs, the Sharks made NW intramural history when they overcame the Bucees in the second final 5 to 1 for the trophy, Odonald said. 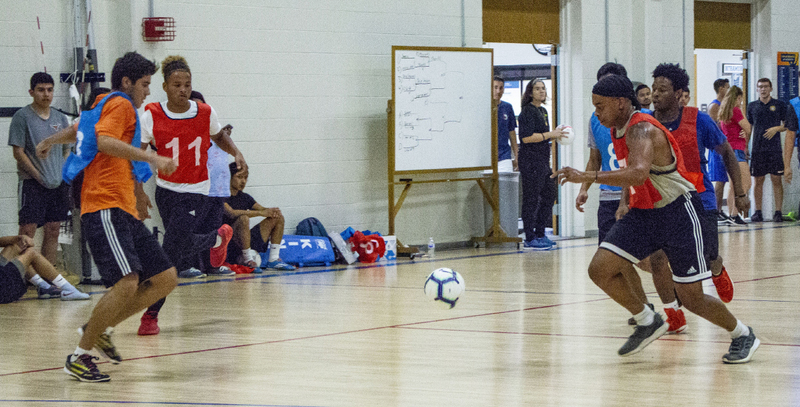 NW students Clint Smith and Javier Castaneda go for a 50/50 ball as their teams look to battle it out of the losers bracket during the soccer tournament Sept. 12 on NW Campus. “We are happy to represent our school, and hopefully students from the high school and TCC campus can improve their relationships through intramurals,” Odonald said. 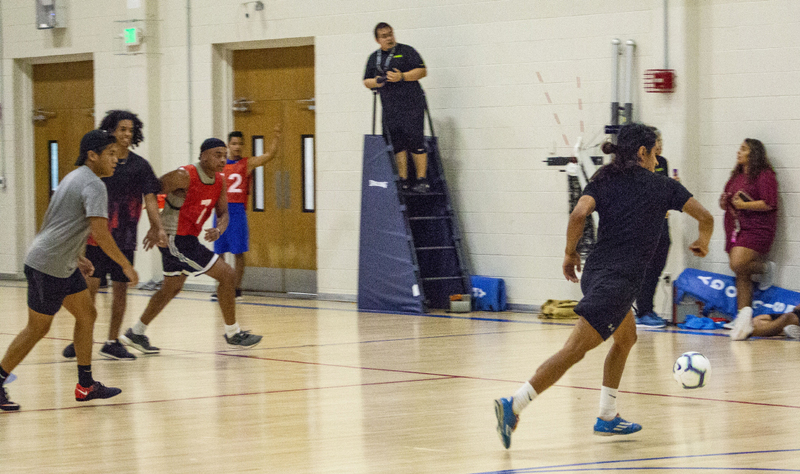 The next intramural opportunity at NW is a basketball tournament is 3:30-7 p.m. Sept. 28 in the WHPE building. A student ID is needed. For more information, contact Garcia at aaron.garcia1@tccd.edu or 817-515-7641.